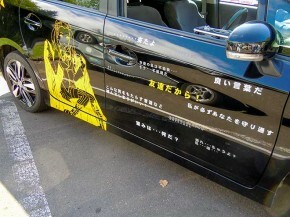 Itasha(痛車) is composed by two words. ‘Ita'(痛) means hurt or painful and ‘Sha'(車) means car. 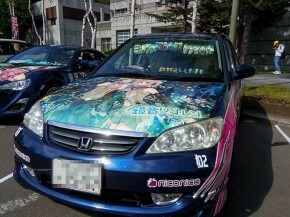 Then, Itasha refers to a car that looks like painful or terrible to see. Also it is too absurd to drive. Every owners are aware of their situation and what they are doing self-tormenting things. 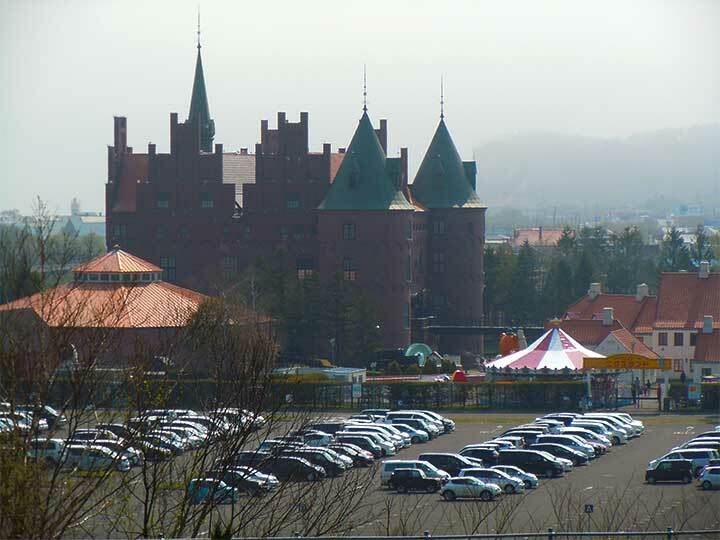 But, that is the most important things that they are really enjoying those situation and their cars’ looks. This is called one of the sub-culture in Japan such as Manga, Anime by Otaku(おたく), a kind of geek. They mostly feature some girls from Manga character which is called ‘Moe-kei'(萌え系). Moe means sprouting or fascinating. Kei refers to series or style. Which characters they choose are up to their own favorites even if they are not major one. Rather minor one is better for them. 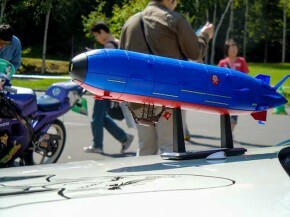 It is more valuable for Otaku people. 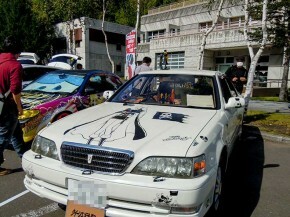 I found a hand-written Itasha which features ‘Ginga-Tetsudo 999’, Galaxy Express 999(銀河鉄道999) by Reiji Matsumoto. It is almost a TV animation and Manga more thant 30 years ago. That was very popular in Japan. It is still alive! 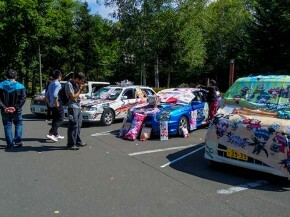 Most of Itasha are put up sheets by printer which digital sources are prepared by PC, maybe copy and paste. But he did not. His hand writing works are outstanding for me in spite of its featuring characters. He must be a beautiful Otaku completely. 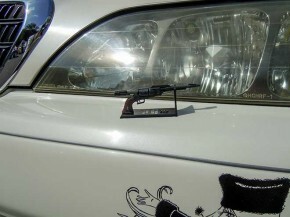 A gun figure in front of a head light. Both side are settled. 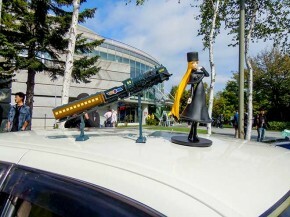 This is a figure of Maetel, one of the important character of Galaxy Express 999. Also it is the Galaxy Express 999. He told me, ‘It is not enough time for me to paint up. 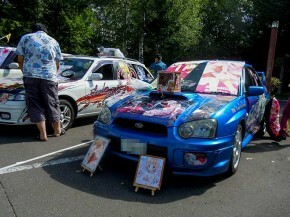 I have to bring my car to Toya(Maybe another Itasha show) after this festival. So I am keep painting here today all day long.’ Good luck to him. This is a figure of Queen Emeraldus, I guess. A lot of Itashas were getting together. These message must be important for owner. 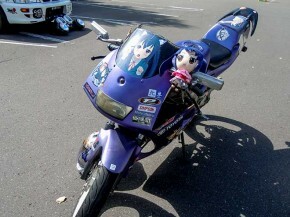 Of course, a Itasha mortor cycle. 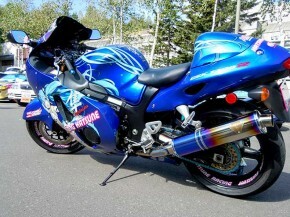 This is Suzuki GSX 1300R Hayabusa, a super bike, I love it. 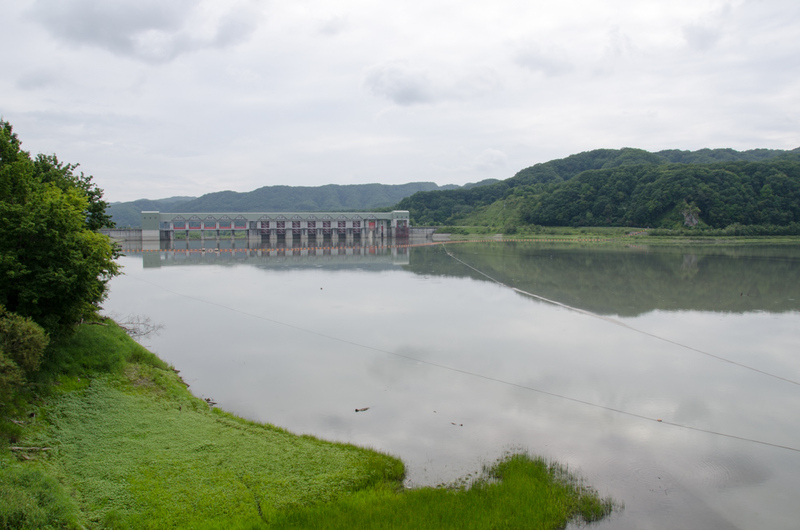 Many visitors were taking photos.